Justin Verlander gave up a run, but not much else on Thursday night. The right-hander was certainly impressive, striking out four in four innings. Brandon Inge added a three-run homer and the Tigers beat the Marlins, 6-1, on Thursday night at Roger Dean Stadium. Inge's three-run homer off prospect Chad James highlighted a four-run fifth that broke the game open. 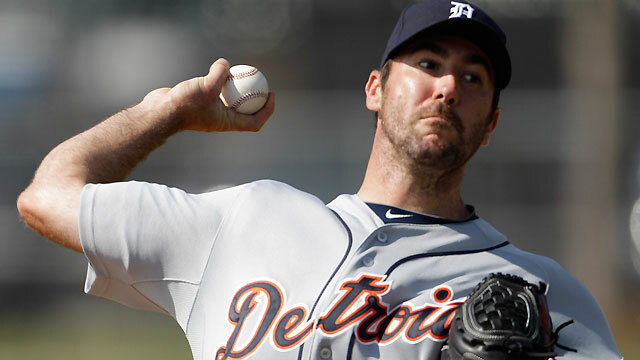 Verlander saw his scoreless-inning streak this spring reach nine innings before he surrendered a run. Hanley Ramirez opened the fourth with a triple to right-center, and Logan Morrison brought him home with an RBI groundout to second that made it 2-1 at the time.